"Kami and her team are professional in every sense of the word. Prior to our wedding, we spoke with Kami extensively to plan out exactly how we wanted our pictures and the time restraints of the wedding day. Kami was responsive, gave great recommendations, and was very helpful. Our photographers were Courtney and Jolene. Courtney was with the girls, Jolene with the guys. They were punctual, helped pick amazing spots for pictures, and gave great direction during the shots. It is GREAT having a photographer that helps you know how to stand, turn, and catch the best light. Courtney and Jolene stayed throughout all of the big moments during the wedding without making anyone feel overwhelmed or crowded, also a great trait in a photographer. "There simply aren't enough words to describe how amazing White Lotus Photography is to work with. Courtney and Jolene shot my daughter's wedding day and out of 1,800 photos, there honestly isn't a bad one! They captured some of the most special little moments that could have been easily missed, but they didn't miss them. From the preparations, to the smallest details, they captured them all. The photos are absolutely gorgeous! We have received an overwhelming amount of compliments on the photos and can't tell you how many times we've heard "those pictures should be in a bridal magazine!" Truly incredible, and more perfect than we had even hoped for! "Had such a BLAST working with Kami & Courtney!! And BEAUTIFUL photos! When we first met with Kami we knew right away that we wanted to work with her. Aside from being a fellow OU alumni (Go Bobcats! ), we loved her personality and not to mention her work! I had the pleasure of working with both photographers we had on our wedding day prior to the big day. Courtney took our engagement pictures and did a fantastic job! She is really fun to work with and the photos turned out amazing! I was worried about my husband and how he would do with so many pictures but Courtney did such a great job of making it fun and an enjoyable experience! I worked with Kami for a surprise boudoir photo shoot that I gave to him in a book on our wedding day. She did an AMAZING job making what you would think to be an uncomfortable photoshoot very comfortable and so much FUN. I was really nervous beforehand about doing it and wasn't sure how I would feel basically in my underwear with someone I had only met a couple of times, but Kami was so good about keeping it fun the entire time and making me relaxed. It was a blast and the pictures turned out so good! I definitely recommend to any bride that is considering a boudoir...just DO IT! By the time our wedding rolled around I felt like I knew both Courtney and Kami so well and I was confident and comfortable the whole day knowing they would keep us on schedule and take beautiful pictures. We had a HUGE bridal party 11 bridesmaids and 12 groomsmen, 2 ring bearers (4 year olds they were great with the little ones) and a flower girl (not to mention large families on both sides that we wanted to include in pictures after the ceremony). They were AWESOME in keeping our large group on schedule and having fun the entire time. Our pictures turned out better than I could have imagined and the day was a blast!!" "Kami, Courtney, and Amy from White Lotus photographed, and edited our photos from my wedding. ALL 3 LADIES WERE AMAZING ! Kami from the day we met her til the day we got our photos was spot on. Her pictures and products speak for themselves. Courtney and Amy actually photographed the wedding and they drove 3 HOURS ! to get there, on top of doing the best job EVER ! They were discrete, polite, and still managed to get every shot down to the details. I couldn't have asked for a better photography crew, and look forward to using them again in the future. " "The photographers from White Lotus Studios made a special day even more special! They were so fun and easy to work with on our wedding day. The pictures look fantastic. We couldn't be happier!" "Kami and her team were great! We decided on White Lotus pretty much right after they did my sister's wedding last year and we were so happy we did :) They did a fantastic job with all of the shots, making sure we had enough of each type (family, portrait, details, etc.) and were able to mix in creative/fun shots with the traditional style shots. They were also able to grab a bunch of fun candid shots too and were very fun to work with! Now the hard part is figuring out which ones to print! " White Lotus Studios Photography did a FABULOUS job with our wedding! Our photographers Courtney and Amy made our day even more fun and special with their enthusiasm and did an excellent job capturing the great moments of our day! HIGHLY recommend! Kami and her team did an amazing job at our wedding. I met with close to 10 photographers before Kami, and I knew almost instantly that she was the perfect fit for us. She is very professional, but laid-back at the same time. She brought a sense of humor to the day and made everyone feel so comfortable, which was great for calming my nerves and giving me one less thing to worry about during the day of the wedding. Kami is more than just a photographer - she almost takes on the role of wedding planner. We had a very tight time frame in between our ceremony and reception, and Kami kept us all organized, and was able to get tons of great photos without us ever feeling rushed. Our ceremony was at St. Francis de Sales, and reception was at The Cincinnati Club downtown. Kami had shot both locations before, so she knew lots of great spots for photos that I wouldn't have thought of otherwise. Kami really listens to what you want throughout the day. I wanted a mixture of classic shots and more artistic photos, which she did a perfect job of capturing. She has an amazing eye for creative group and individual pictures - which was great, because I am not creative at all! Because of Kami's work, I have over 1500 photos of my wedding. They are extremely easy to navigate through, as Kami has them categorized into sections such as Preparation (getting ready before the wedding at the hotel), Ceremony, Details (pictures of the rings, my dress, flowers), etc... I honestly had so many fantastic pictures to choose from that I haven't even been able to narrow down my favorites for an album. If you do decide to order an album, Kami works with you on the layout and sends you a preview before printing. Kami is very reasonably priced for how much time she and her assistant spend with you; plus the packages are all completely customizable. If you want a wonderful photographer who is easy to work with, professional, and talented on top of it, I highly recommend White Lotus! It was great working with this studio. Kami prepared us well for the wedding day and what to expect. Our 2 photographers Sara and Courtney were awesome. They made us feel very comfortable and clearly knew what they were doing and had creative ideas for the photos. They were also flexible and incorporated our requests as well. Would highly recommend this studio. Candace was our wedding photographer with Jolene and both ladies were so fun and energetic. Candance shot our engagement photos and I was delighted she could do our wedding too. Although we don't have the actual wedding photos back yet, I know they will be amazing because our engagement pics were. I had so many compliments from the bridal party and my parents that the ladies were fun and very professional. I will continue to use them in the future for photography needs! Kami, the owner always got back to me within a few hours too! The photographers were great to work with and had wonderful idea for photos. Very professonional and high quality photographs. WE are so glad we chose White Lotus. Kami won us over immediately - you can tell she is passionate about her business and providing exceptional service. Amy and Sara photographed our wedding and they were amazing - very efficient and accommodating. We can't wait to see the final album! White Lotus had won me over before I was even looking. I had been part of a friend’s wedding 2 summers prior to my own and loved her photos. Kami was the lead photographer and made taking pictures a ton of fun. I really enjoyed how she took unique shots that you don’t typically see. Needless to say, when I got engaged, picking a photographer was a no brainer.I did have a small freak out moment when Kami told me she would no longer be able photograph my wedding, due to the fact she would be very pregnant or a very new mom. (geeze the nerve :) However I was pleasantly surprised. I loved Courtney and Jolene, they did a great job. Courtney was able to contain the craziness of my bridal party and get great photos at the same time. They were friendly, fun and made me feel at ease the whole time. 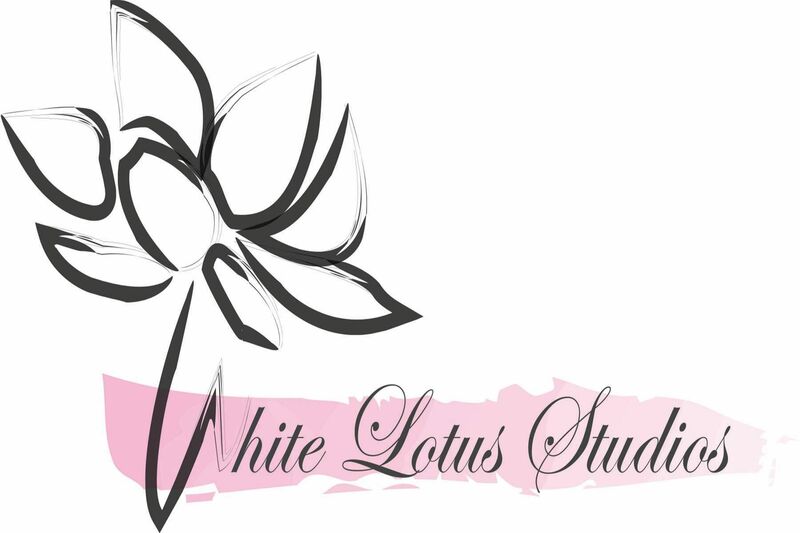 I would recommend White Lotus Studios to anyone! After looking at three other photographers, the moment we met with Kami we knew White Lotus Studios would be our photographer. She was very professional and very welcoming. She did an excellent job expalining packages and allowing us to mix and match to fit our needs. Candice completed our engagment photos and they turned out great. It was very timely getting our pictures back and we were able to order quickly. The best thing about the photographers was they did not make us do cheesy poses that were not realistic. We wanted natural photos and they did an excellent job with that. On our wedding day, White Lotus arrived on time, and shot all the pictures we wanted. Candice and Joleen did an amazing job with grandparent pics, and help me take my veil off, and get us a drink! Our wedding was at Alms park late summer, so I know it was very hot for them. The best thing about our experience with white lotus was how our wedding pics turned out. They are beautiful and really captured the essence of our day. I have the discs of all the pictures and it has been amazing to print them out for my mom and family members. I would recommend White Lotus to my closest friends, and I know we will use their service in the future! These ladies did such a great job. Not only did the photos turn out great but they went through all those stuffy family photo shots very quickly. They also did a great job with the fun bridal party photos. Kami and her team did a fantastic job! She was prepared for rain or shine. All the photos turned out amazing! We still can't pick our favorites because they are all wonderful! She and her team truly captured the entire day from start to finish! I couldn't have asked for anything more! I highly recommend White Lotus! They are all friendly, professional, patient an know exactly what to do and when. Kami and White Lotus Studios are AMAZING! First off I was a bride moving from Canada to the USA. I had just over one month to figure out everything! From the very beginning Kami was accomodating and helpful. She didn't hesitate to book us and even gave suggestions for other vendors who would be available and fantastic. The pictures speak for themselves! As a large woman, pictures have never been my friend, but Kami really did take amazing shots were I actually think I look beautiful. From the giggles I have when looking at shots with my parents to drooling over the GQ magazine shots of my husband, they are all absolutely amazing. Thank you Thank you Thank you White Lotus Studios!